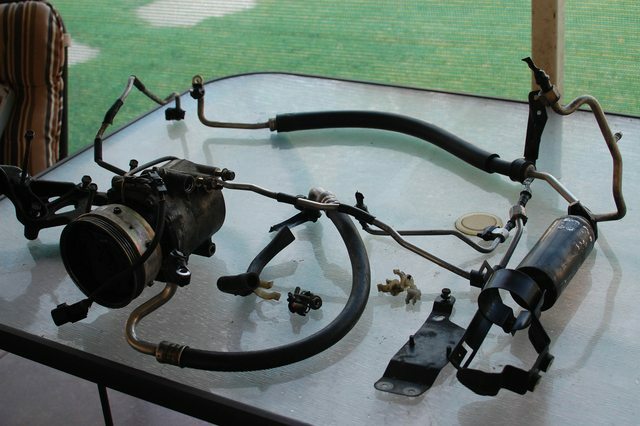 I quite offten keep an eye on the forums for items of interest for sale when I spotted a full Cyborg driveline that was from a 1990+, this mean it was the newer style gearbox and 3.545 ratio, but even better front and rear LSDs! I jumped and had it sent from Sydney to Perth. Nice 3.545 rear mechanical LSD. 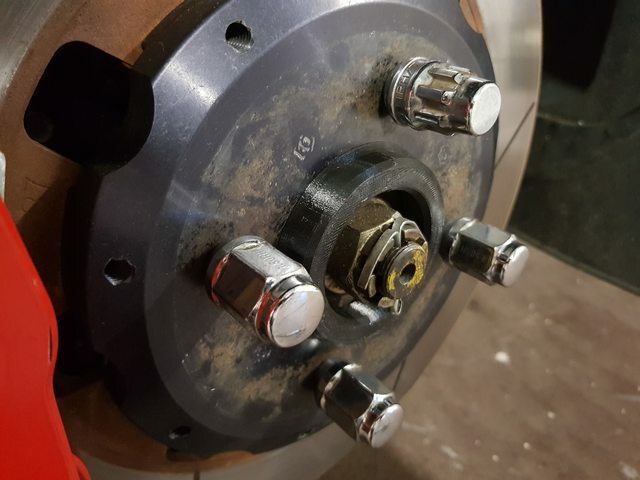 Here is a look at the tiny 22 spline rear axles, this is now a spare set as the ones in the car have already started to twist the splines from all the launches. 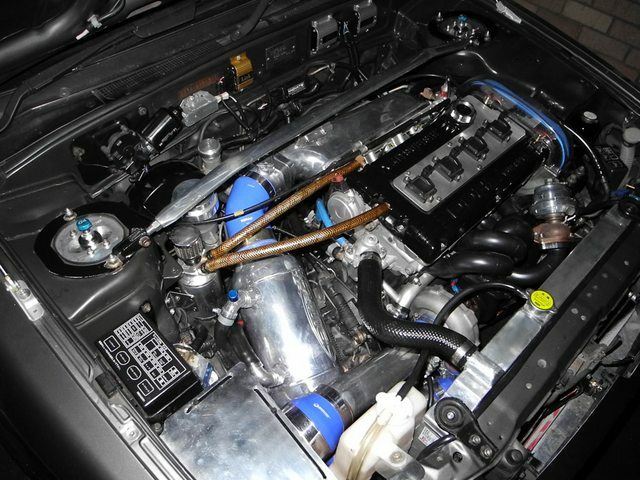 W5M33 with a front LSD. Delish! I’ve added these to the parts collection for when I break all the early model geaboxes and diffs I’ve amassed. 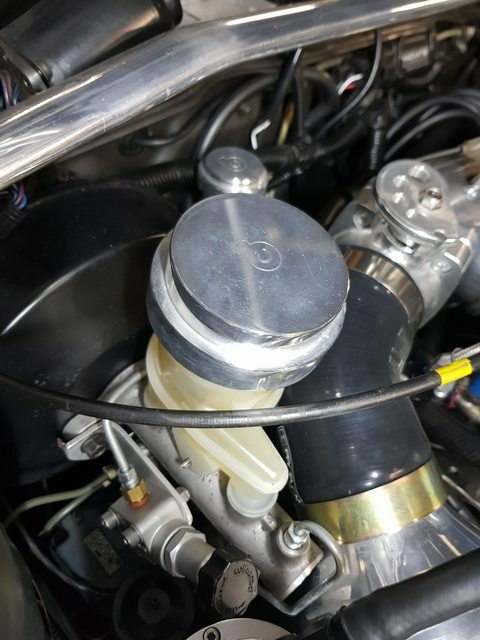 It was late 2010 by the time I finished installing the barrel cooler setup and because the old tune was for a different intake and cooler setup, the car needed a re-tune. I started looking at closely at the ECU map and comparing against other tunes from across the web. I was quite taken back at the amount of the total ignition timing that it was running, 20 deg which seems right up at the peaky end of where you would like to be. The original tune was the based of the stock VR4 map that comes with the Link and when I compared with the the Evo 1-3 the VR4 map was missing a lot of resolution in the fuel and ignition tables. Ignoring the engine differences between the VR4 & Evo motors the Evo map did look like a better starting point. 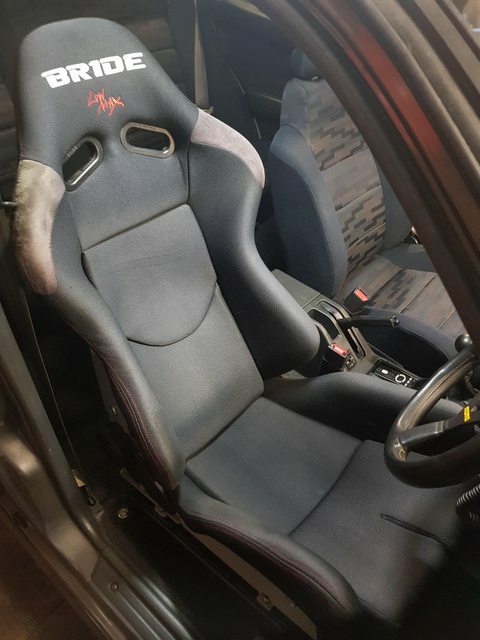 I loaded the Evo map, set the base configuration and roughed in an idle tune, had a mate drive the car around the streets while I sat on the laptop letting auto tune sort out the low to part throttle fuel table. We pulled into a small carpark when I heard a loud “thunk” at the back of the car, I get out and look at the back of the car where I heard the noise and there was a bloody dent/scratch behind the wheel arch. WTF. I looked across the road and there were two kids, probably 7 or 8 who had thrown a rock and when they saw that I had put 2 & 2 together they piss bolted for the nearest alleyway. I gave chase and the kids headed straight to their home where, after I caught my breath, I tried to have an adult conversation with their junkie mother that went something along the lines of “my little johnny is an angel, he wouldn’t do anything like that, you are making it all up, im not talking to you any more, come back with the police”. 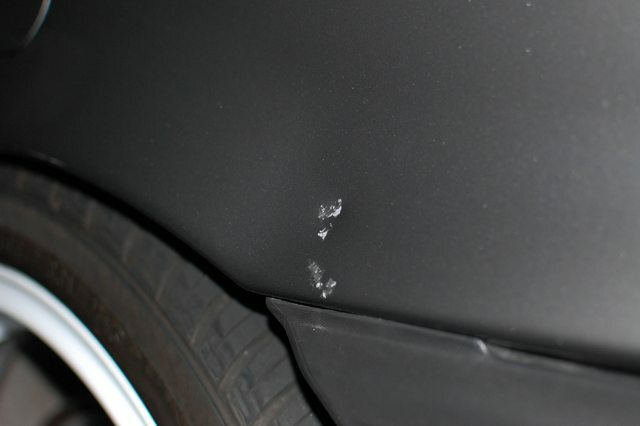 Nothing ever became of it and it wasnt worth pursuing, it does still piss me off that the first day on the road after nearly two years in the garage the car gets a dent from two stupid kids playing silly buggers. Over the new month I get the tune better & better but I started to notice that not all was good. All that extra weight in the boot had changed the car, the way it handled and they way it drove was very different and not for the better. I guess there would be about 40kg in the boot and it was all high above and behind the rear diff, this made car feel like it had a few bags of cement in the boot all the time, but worse, much worse. What was once a nible agile car had been ruined, what had I done! Early 2011 and now “life” really started to accelerate for me and over the next four years, I started my own business, began a family, purchased a house, family got bigger, I took a stable job at a large multi-national and my career sky rocketed. Through all of this I was battling health problems and progress on the car took a back seat. Truth be told, I was also pretty pissed at myself for the direction I had taken the car. If only I had found the cyclone issue with the intake manifold after it was first tuned, then I wouldn’t have the car in this state. I could have been driving the car for years without spending all the cash – yada / yada. Hindsight is 20/20 – I wasn’t going to sell it, so lets make it what I should be. Back to the overheating issue, I wasn’t convinced that I had solved the problem by adding the bonnet vents and wrapping the exhaust manifold. The car has airconditioning, but I had never been able to use it as when the car starts to overheat the A/C would cut out and I would actually have to turn the heater on to help bring the temp down. This was unbearable on a 38deg day sitting in the car with the windows, sunroof open and the heater blowing full tilt, picture a sauna, that’s what it was like – except not as pleasant. Well, the revaltion to me was that I should get rid of the A/C as without the condensor it would give me a better mounting position for some slimline fans and if that works in keeping the engine cooler, it would actually make it more pleasant to drive as I wouldn’t need to have the heater turned all the way up on a hot day. Thinking man. So out comes the air conditioning. And in the place of the A/C condensor goes two 12” SPAL slimlines. 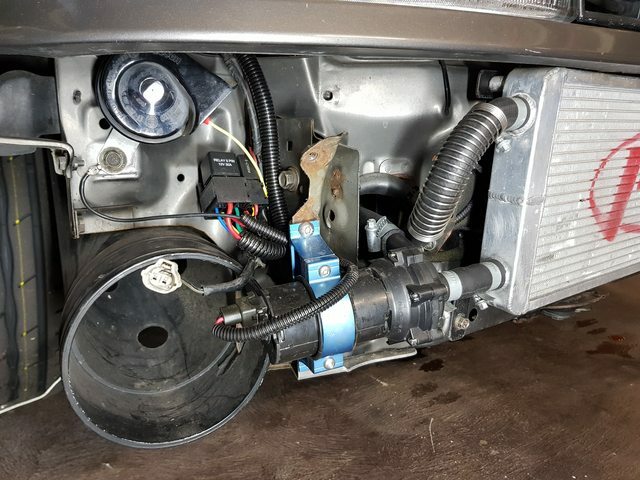 The little cooler you can see is for the powersteering. 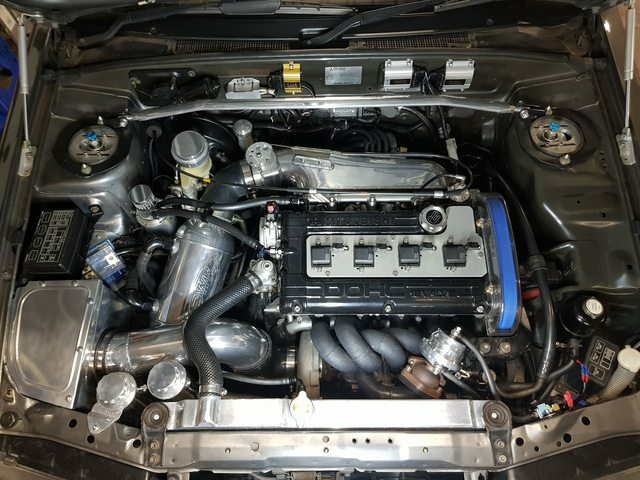 I took a good look at the stock radiator and decided it could use an upgrade at the same time , ADRAD in SA built a custom radiator that fits magnificantly, it seems to be based off an Evo 1-3 radiator but at slightly different dimensions. 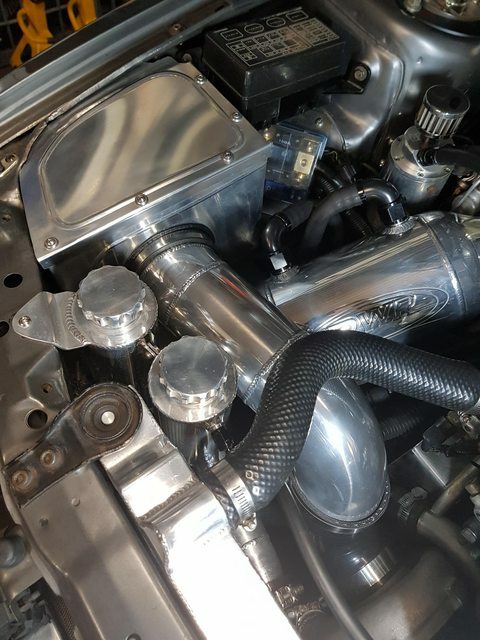 The heatwrap on the exhaust manifold got binned as well and I had the manifold, waste gate screamer pipe, turbo exhaust housing and the turbo dump pipe ceramic coated by a local coater. 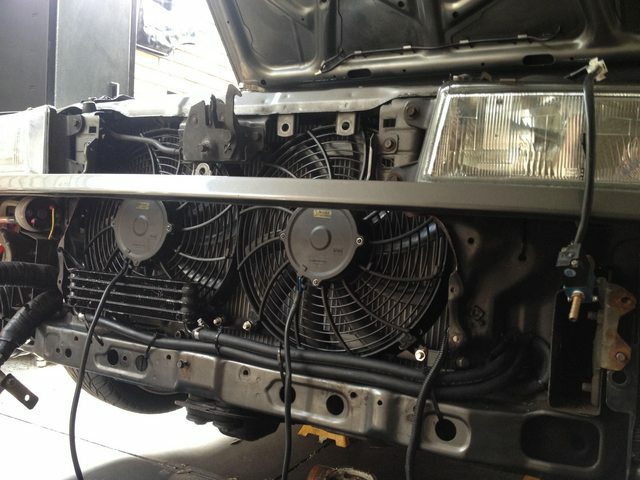 This should solve the overheating once and for all. The new slim line fans are now mounted in the best position, I plugged all the gaps around the radiator with foam, there was no more A/C condensor adding resistence to the fans while stationary. 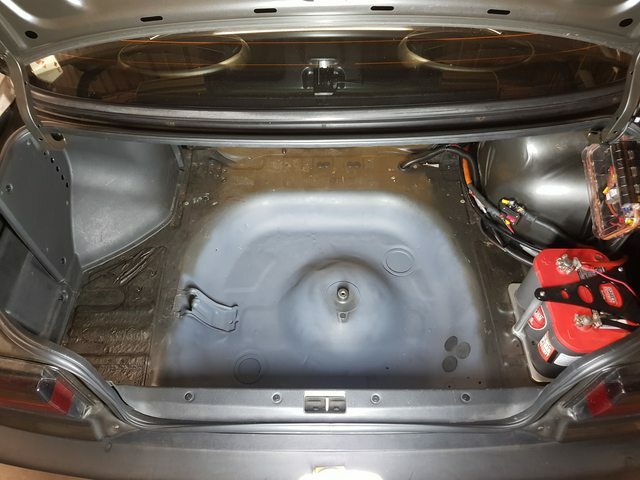 The ceramic coating would (hopefully) provide some radiant heat sheilding and the new radiator would add another level of confidence that the problem should be erradicated for good. 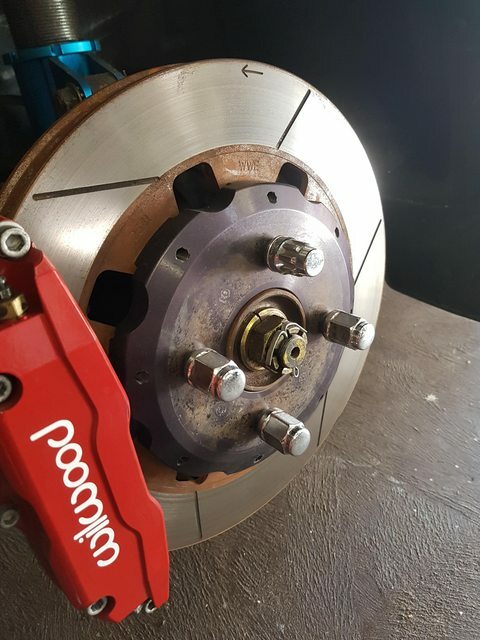 2012 rolled around and time for another brake upgrade. 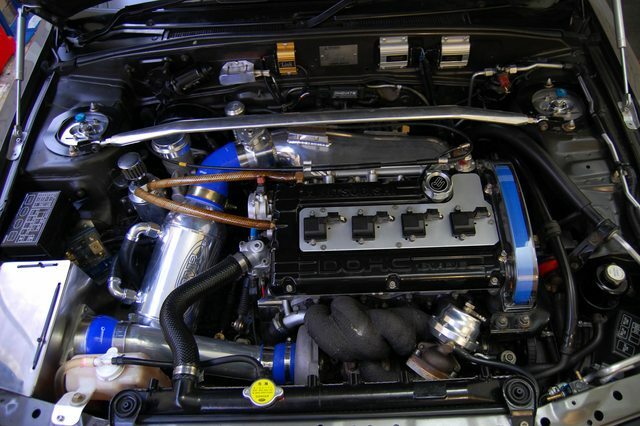 The VR4 Twin Pots were much better than stock, but still not what I would call great. I could have gone late model Bremboes, but that’s a common upgrade. I found Wilwood 6 piston kit ex US with 320mm two piece rotors for a very reasonable price. Shortley after installing the bigger brakes I took the car out for a glamour shoot. Up until this point, I hadnt had anyone else work on the car except myself, but I was just getting to busy with life to spend time working on the car, I also had a bit more cash flow to do things properly compared to 10 years earlier which lead me to take to the car to a fabricators to help get the car to the next iteration. We started by removing all the crap from the boot, the W2A resoviour, sub, surgetank and fuel pump and in the bin. What is left is just an nice, lite, empty boot space. The lunch box on above the battery is the fuse & relay box for he fuel pumps. 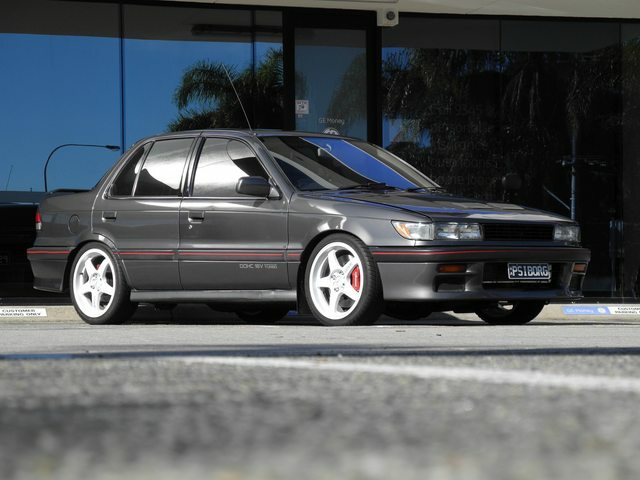 Which has been moved under the rear passenger seat with a custom surgetank and new ½” lines to the front of the car. Future proofing if corn juice is to ever be needed, though I would probably need something a bit better than an 044. What happened to the W2A resoviour? It was moved into the engine bay. The fabricator made a new intake for the turbo and built two resoviours, one closest to the air box is for the barrel cooler, next one across is the overflow for the radiator. 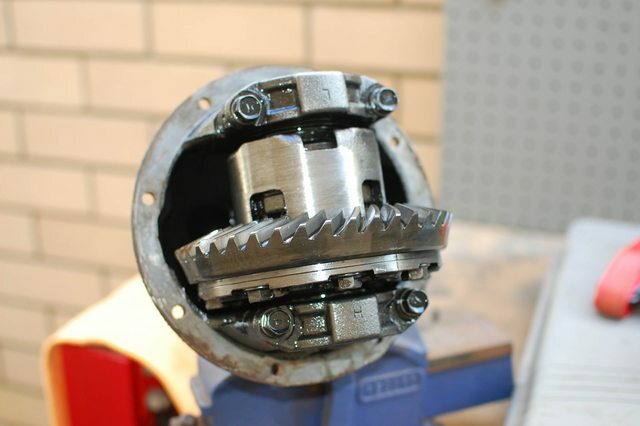 The W2A pump was moved to the front of the car which has helped significantly shorten the piping run lengths and helps reduce total water volume and weight. I pissed off the air horns and replaced with a set of dual tone Mitsubishi 380 ones. 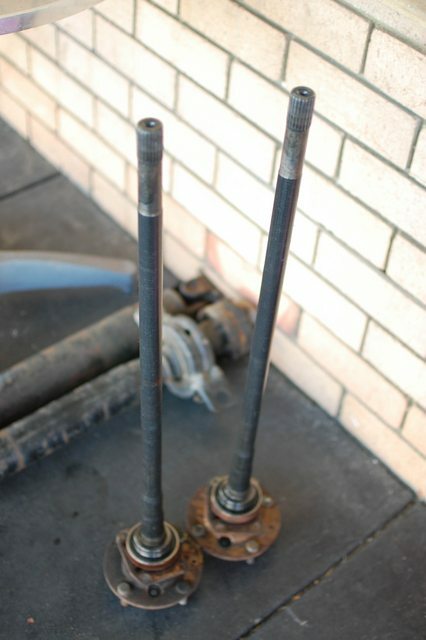 With the larger 6 piston Wilwood’s the 1” brake master was a bit small. 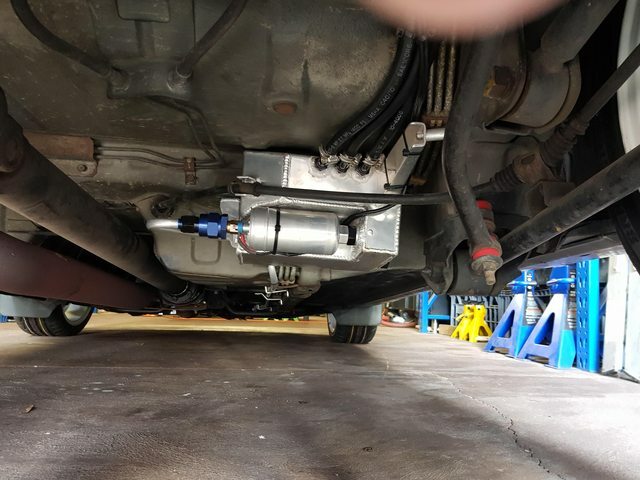 I grabbed a 1” 1/16 brake master from an Evo 7 and a Legnum brake fluid reservoir and had some custom lines bent up to take a brake bias valve installed on the rear lines. The car does stop good, but as I mentioned before it still feels very under assisted, you need a pretty strong leg to get it to pull up. There must be something I can do about the booster, but I haven’t found any other options. Something unfortunate happen during this time, I seemed to have gotten fatter, much fatter and could no longer fit in those stupid Bride fixed back bucket seats. I put the stock passenger seat back in and found a genuine Bride recliner that is sooo much better, Worlds apart compared to the fixed backs and people of normal size can actually sit in the damn thing too! Here is the engine as it sits today, changed most things over to black silicone. 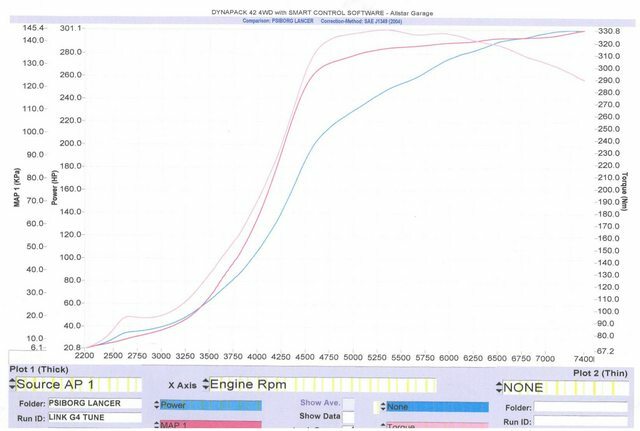 On a different dyno and a totally different tune, it made 300hp @ about 21psi, or 25 hp more than before – but it’s hardly an apples-to-apples comparison. This tune is much nicer, they spent far more time getting the idle and cruise conditions perfect which has made the car much nicer to drive. The tune is also running very rich at 11.5:1 and there is only a max of 17 degrees’ total advance compared with 20 degrees previously. So, over all its made slightly more power but with a much softer tune. High five! It has been nearly 9 years since I had the car in a drivable mode and I am amazed at how old I’ve gotten. The car is raw, grumpy and takes a lot of effort to drive – god it’s fun – but this isn’t something I would appreciate driving every day and I don’t think it’s something I could. Since the car has been on the road again, I’ve put on a set of Bridgestone Potenza RE003’s and printed some custom hub-centric rings. 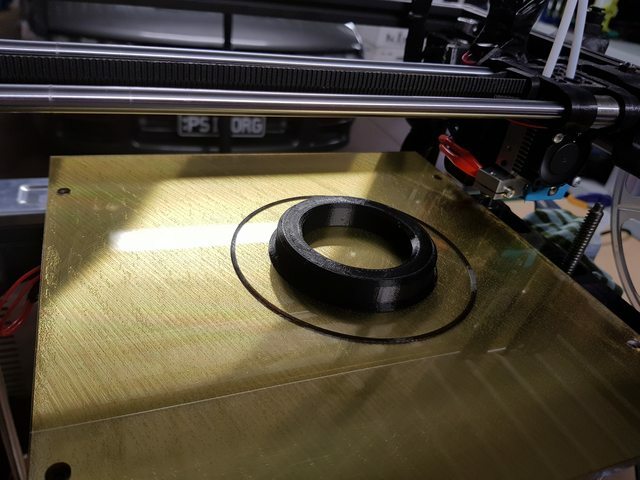 For the hub-centric rings I used ABS plastic which should be okay, its transition temperature is around 105c and it would probably still be okay around 140c. Really its only used to locate the wheels while doing them up and don’t really serve a purposed after that. This is where I am today, almost the middle of 2017, 12 years after buying the car. Where to from here? 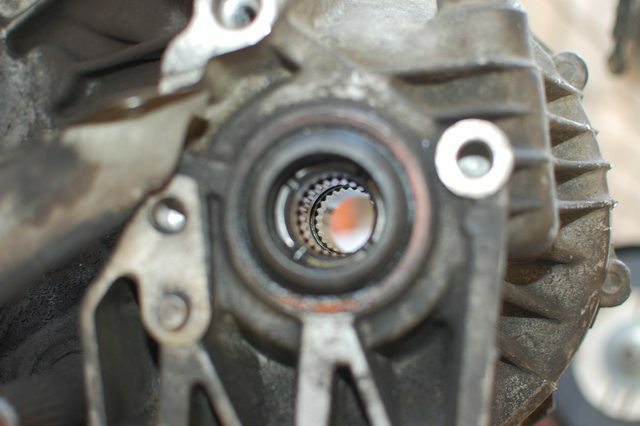 Stupid Chinabay oil sump is leaking quite a bit and since replacing the Clutch Master & Slave i've been having trouble getting the clutch to fully disengage - but you know what? i'll get there.